Vivacious 4ply is the newest addition to our 4ply range. It is a 100% high twist merino yarn and comes in a beautiful range of hand dyed shades. It offers great stitch definition and the high twist makes it hard wearing too. And it is machine washable. It costs £13.55 for 100g/365m hank. Gilver by Jo Kelly - note the double 'frill' edge! 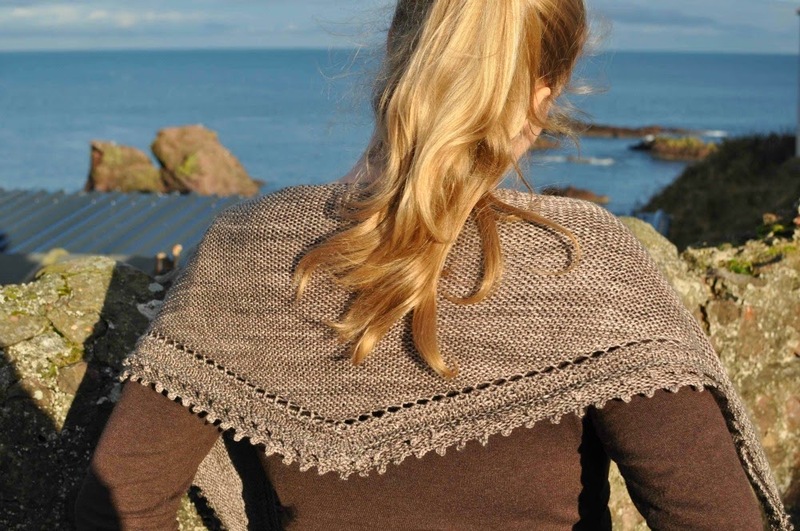 Gilver is a shallow triangular shawl designed by Jo Kelly. It is knitted mostly in squishy garter stitch with a picked up picot edge. 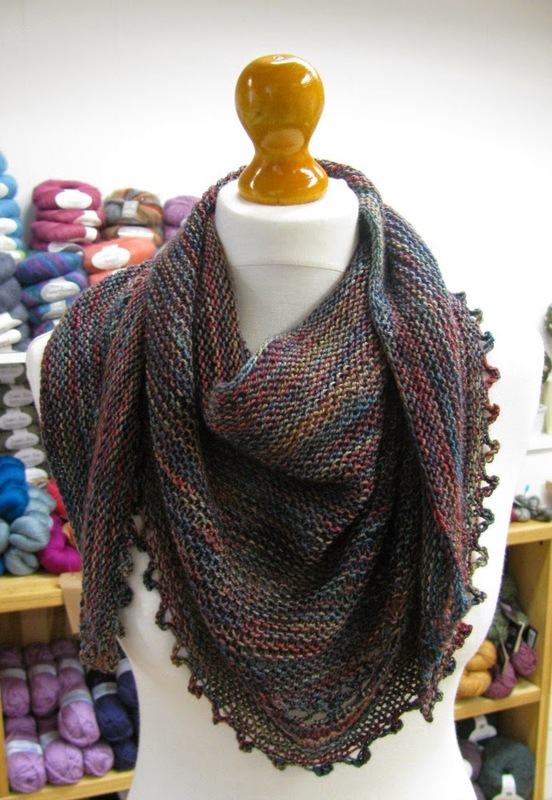 We have a Gilver in YarnPony's ShowPony in the shop and its very popular. Both as a simple knit and as a wearable accessory. 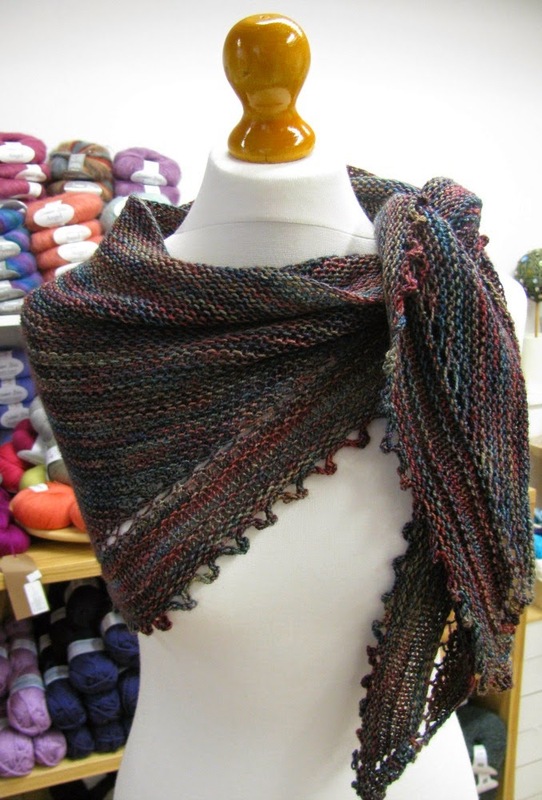 It's a great pattern to show of a squishy merino and hand dyed yarns. So... How far would a hank of Vivacious go... well, as it happens, quite far! 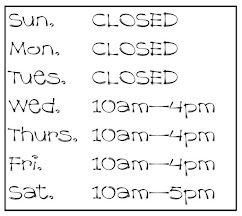 Check out the project page on Ravelry for how much yarn is used in each section... I was left with only 4g of yarn after the picot cast off. We think it still looks stunning... and it feels amazing too! Yarn and pattern in the shop.